Traffic information can be fragmented because different agencies are responsible for freeways, surface streets, and transit systems. This fragmentation makes it difficult to proactively manage congestion and improve mobility. To address this problem, SANDAG and its partners are participating in a demonstration project to under a framework established by the U.S. Department of Transportation (USDOT). In 2010, the I-15 corridor in the San Diego region was selected as one of two pilot sites in the nation to develop, implement, and operate an Integrated Corridor Management (ICM) system. The ICM system allows individual transportation systems to be operated and managed as a unified corridor network. The ICM system went live in early 2013. ICM uses cutting-edge technology to operate and manage individual transportation systems as a unified network. It allows freeway, surface street, and transit networks to be managed together to improve mobility and maximize system efficiency. 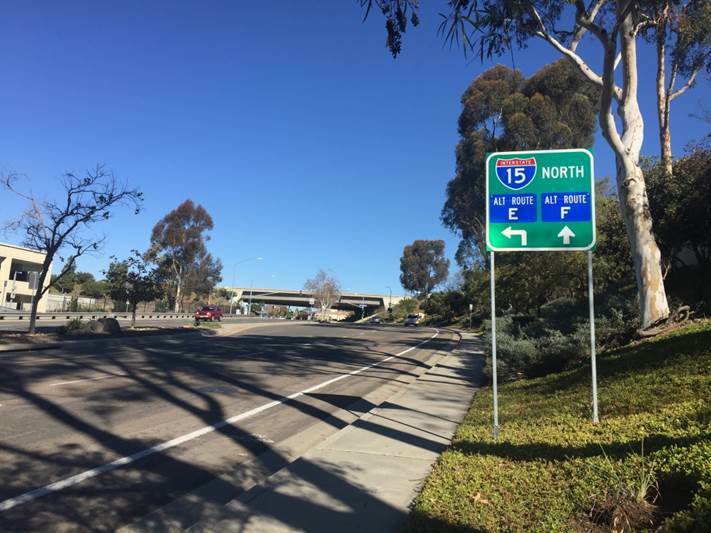 The project covers a 20-mile section of I-15 from just north of State Route 52 in the City of San Diego to State Route 78 in the City of Escondido, including the state-of-the-art I-15 Express Lanes and major arterial routes on either side of I-15 within several miles of the freeway. The I-15 ICM project applies predictive algorithms and real-time modeling tools to forecast traffic across multiple networks and recommend response plans to manage anticipated congestion. For example, the ICM system coordinates the use of freeway ramp meters and arterial traffic signals to improve day-to-day conditions or to route traffic around major incidents. ICM reduces delays and improves travel reliability. The system is designed to efficiently guide drivers around incidents with the least amount of impact to local streets. As part of the ongoing ICM project, a coordinated detour messaging system was activated in April, 2016 with 40 alternate route signsÂ installed on surface streets along the I-15 corridor in the cities of Escondido, Poway, and San Diego. Should a major freeway incident occur, Caltrans overhead changeable message signs on I-15 will direct motorists off the freeway to avoid delays, and alternate route signs will guide motorists through surface streets and back onto the freeway as soon as possible. The San Diego ICM project team is led by SANDAG and includes partnerships with the USDOT, Caltrans, MTS, NCTD, and the cities of Escondido, Poway, and San Diego. In 2014 and again in 2016, the project received the Operational Efficiency Program of the Year award from the California Transportation Foundation.